Conference dedicated to the Madrid architect Casto Fernández-Shaw Iturralde (1896-1978) as part of the Modern Masters cycle of the COAM Architecture Foundation. With this cycle we want to highlight the importance that the contemporary architectural heritage has for the society of the 21st century, the need for its social recognition and its maintenance and conservation. Son of the writer Carlos Fernández Shaw, who died when Casto was a teenager (1911), being in charge of his maternal uncle, Daniel Iturralde. He entered the School of Architecture in 1913, finishing his career with twenty-three years, as a member of a promotion integrated by seventeen new architects. Among his teachers he had Ricardo Velázquez Bosco, director of the School between 1910-1918, Modesto López Otero and Antonio Palacios. In 1917 he had already entered the studio of Antonio Palacios, to pay for his last two years of career. With Palacios, he will later become Head of the delineation of the 1919 Contest for the headquarters of the Círculo de Bellas Artes, which, when deserted, was finally commissioned by Antonio Palacios. In this study, he would coincide with Pedro Muguruza, with whom he later made the Coliseum Building project in Madrid’s Gran Vía, with a theater program and rental housing. 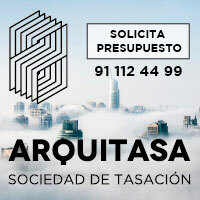 It was Antonio Palacios who recommended him to work with the Otamendi brothers, who included him in his Compañía Madrileña Urbanizadora, where he achieved an architect position in collaboration with Julián Otamendi, in the project of one of the buildings on Avenida Reina Victoria (Titanic Buildings) and in a hotel neighborhood. In 1920, he presented at the National Exhibition of Fine Arts in Madrid the Monument to Civilization Project, awarded with a third bronze medal. Carlos Otamendi, then commissioned the dam El Salto in El Carpio (which really only had to give shape since the project was done), which ended in 1922. Abandoned the Madrid Urbanization Company a year later. In 1925, at the Exhibition of Modern Decorative and Industrial Arts in Paris, he was struck by the Pavilion of the USSR by the architect Konstantín Mélnikov, an example of constructivist architecture. In 1924 he was commissioned the Alcalá del Río Dam and the Encinarejo Reservoir, and intervened in the architectural part of the Salto del Jandula. Other important buildings are: the Titanic Buildings on Avenida de Reina Victoria, corner of the Glorieta de Cuatro Caminos (1919-21), of the aforementioned Compañía Madrileña Urbanizadora. In 1927, he joined the Board of the Central Society of Architects as an accountant; projects the Mercantile Athenaeum of Valencia, in collaboration with J.M. Castell, and the new church of Tetuán de las Victorias. All this was reflected in the survey on modern architecture of No. 32 of the journal La Gaceta Literaria. His most important early work is the gas station of Petróleos Porto Pí, in the street of Alberto Aguilera No. 18 of the Madrid boulevards in 1927, which Carlos Flores considers one of the key works of the Generation of 25, of which the architect himself he says that he has no style, being born what he called “engineering architecture”, and that he will put into practice in his blueprint for the Barajas Airport competition in 1929. The following year he founded the magazine Cortijos y Rascacielos (1930-1954), It will produce 80 issues in two stages interrupted by the Spanish Civil War, in which avant-garde architecture, rural architecture and architecture from the past are taken care of, as well as being a means of expression for the architect himself to exhibit his works. 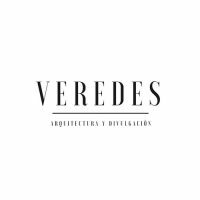 ideas and publish his projects, he is elected Vocal of Architecture of the Board of Directors of the Círculo de Bellas Artes de Madrid, in 1930. He had a lapse of time in which he only dedicated himself to the construction of the Coliseum building in the Gran Vía de Madrid (1930-1933), carried out in collaboration with Pedro Muguruza. Between 1934 and 1935 he made the Housing Building, on Avenida de Menéndez Pelayo, an exemplary work of Madrileño Rationalism that closes the period before the Civil War. In this same line of thought was maintained after the war, with antiaircraft architectures and projects considered futuristic, such as the facade of the Banco Hispano de Edificación on the Gran Vía de Madrid (1943-44), and the Mercado de San Fernando on the street of Ambassadors. Round table with the intervention of Félix Cabrero Garrido and Juan Carlos Rico Nieto.